Water heater installation is not a simple project and mistakes can be more costly than you think. 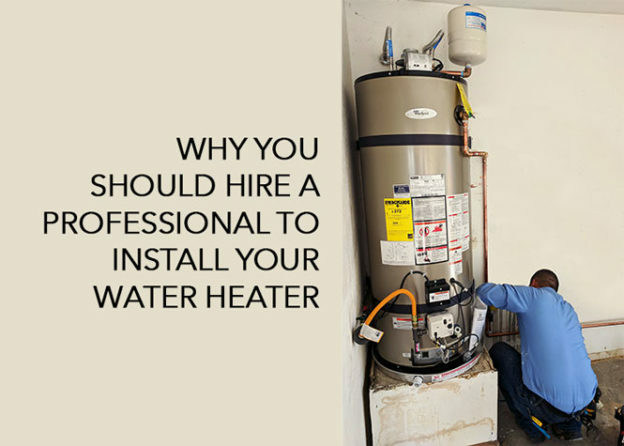 That is why a professional who understands the ins and outs of water heater equipment should be the one to do it for you. Here’s why you should only trust the pro with your water heater installation Orange County. The product knowledge of a licensed plumber is their biggest asset and they have the technical know-how to deal with difficult installations. Years of experience mean that they can comfortably deal with emergencies without causing damage to property or injuries. Mistakes during the installation can lead to more expenses and property damage. To avoid this, seek only the services of a qualified professional for your water heater installation. For many gas water heaters, the risk of fire is considerably high since gas is extremely flammable. Trying to do it yourself or giving the job to an unqualified person, could result in a dangerous explosion or fire, putting your family at risk and also your property. A certified professional has the skills to deal with risky projects such as a gas water heater installation which is why you should only trust them. A single mistake due to negligence could be calamitous. Safety is a crucial factor when it comes to water heater installation. A professional installer will ensure that there is enough ventilation and enough airflow to avoid the risk of carbon monoxide build up. Carbon monoxide is an odorless but highly poisonous gas that could lead to brain damage and even death. Depending on where you live, there could be different regulations and standards for water heater installation. A certified plumber can help you to comply with the set rules and follow established guidelines for installation. Water heater installation is a crucial part of your home thermal comfort and convenience. You don’t want to have to deal with repairs all the time and spend more money than is necessary. Experienced plumbing professionals will do it the right way and eliminate the need for costly repairs and major inconveniences caused by breakdowns. This improves the long-term efficiency of your water heater. Many professional installers have around-the-clock service to enable you to get service as quickly as possible and at whatever time. An impeccable customer service guarantees efficiency as well as convenience when they respond to your call immediately. This ensures you are not inconvenienced for a long time. Some services come with a warranty cover for quality assurance which gives you the peace of mind that you need. If you are looking for a professional water heater installation Orange County, our trusted technicians will help install a heating system for all types of homes. For more information, contact us today for a professional water heater installation.